Used with permission from DC Central Kitchen. Earlier this year, NPQ ran a story about a social enterprise in Modesto that lost out on a contract because it was outbid by a private vendor. At the time, we wondered whether the social benefit of gainful employment for disabled residents provided by the nonprofit might’ve justified the city accepting the nonprofit’s bid, even though the city would gain an additional $18,000 by contracting with the for-profit. In that case, however, at least the reason for the city’s decision was clear. Now, from Washington, DC comes a stranger case. Here, a nonprofit social enterprise outbid its for-profit competitor on price—and lost $800,000 worth of business anyway. The nonprofit in question, DC Central Kitchen, runs a reentry program that trains returning citizens (formerly incarcerated individuals) in culinary careers while providing healthy meals for schools, catering events, and helping local farmers by purchasing “seconds” from nearby farms. 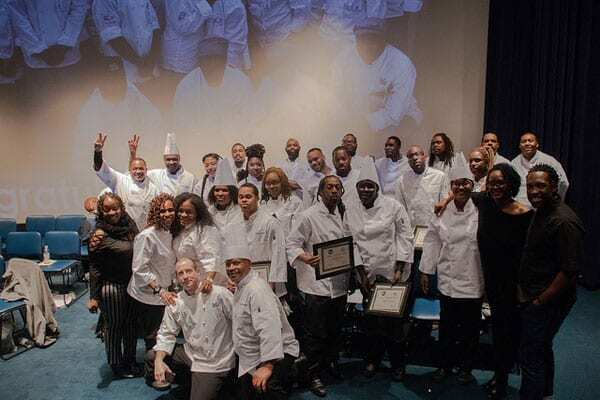 In its last fiscal year, the nonprofit graduated 86 people from its culinary training program, with an 87 percent placement rate (and with 85 percent still employed one year after placement). The nonprofit generated over $9 million in revenue, covering more than half of the nonprofit’s total expenses. All told, the nonprofit provides three million meals a year for homeless shelters, schools, and nonprofits. The 30-year-old social enterprise was also recently featured on an NPQ webinar. But in 2018, the city finalized its master contract with TCP and the group in turn re-opened the bidding process for its subcontracts. And DC Central Kitchen lost contracts involving providing “roughly half a million meals per year at the city’s largest shelter sites” to Henry’s, a small private for-profit restaurant and catering business. Alexander Moore, development officer for DC Central Kitchen, speculates that Henry’s may have won the contract because it is a certified business enterprise (CBE)—a local business that receives preference in procurement. DC Central Kitchen is also based locally, but apparently cannot qualify as a CBE because it is a nonprofit. Under its new agreement with TCP, DC Central Kitchen serves only 800 meals per day across five shelters, down from 2,500 meals a day at 10 shelters. It is also, notes Baskin, “reimbursed at a lower rate per meal than Henry’s—at $3.05 for breakfast and $3.50 for dinner, compared with Henry’s’ $3.20 and $5.18, respectively— according to budget documents submitted to the DC Council by the city’s Department of Human Services.” Baskin adds that, “Henry’s will also receive $3.75 for a ‘specialty breakfast,’ $5.18 for lunch, and $7.50 for ‘specialty dinner.’” By contrast, “DC Central Kitchen will not be reimbursed for these offerings,” Baskin explains.